Kevin Le Roux, Head of Business Development at Pivotal Data. Contact centre operations across the globe, including an ever-increasing number on the African continent, are transforming from traditional, voice-only call centre services to fully integrated and digitised customer life cycle management (CLM) processes. This trend is being driven predominantly by the need to deliver exceptional customer experience (CX) to meet new and evolving consumer demands, such as more relevant, beneficial and personalised services and interactions across a diverse range of communication channels. 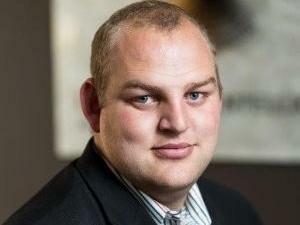 If contact centres are unable to deliver the type of CX that modern digitally empowered consumers expect, customers will gravitate to other service providers that better satisfy their needs and requirements, says Kevin Le Roux, head of Business Development at Pivotal Data. Contact centre managers realise that to meet these shifting demands, they need to deploy advanced omni-channel solutions that deliver superior CX by enabling engagement via a customer's preferred communication channel, be it voice, Web chat, e-mail, SMS, or social media, with the ability to switch seamlessly between mediums without the loss of content, or engagement history. Omni-channel functionality also improves customer service capabilities by enhancing employee experience (EX). Moreover, by creating a compelling EX by engaging with their agents and maximising their capabilities, African contact centres will positively impact on overall CX. However, trying to provision and seamlessly integrate these capabilities in-house can be complex, costly and downright chaotic. Getting the integration wrong makes it difficult to deliver consistent CX across all channels and creating a 360-degree view of the customer, which can result in fragmented experiences, missed opportunities and reduced operational efficiency. Also, the cost and resources needed to manage solution upgrades and new advances in technology can become burdensome. The inclination is therefore strong in Africa's vibrant contact centre industry to migrate to the cloud as this offers access to hosted, virtual and contact centre as a service (CCaaS) solutions. In general, the transition to cloud computing in Africa has accelerated, with adoption more than doubling over the last five years, according to recent research commissioned by F5 Networks and conducted by World Wide Worx. And, according to African contact centre operators in Botswana, Kenya, Ghana, Namibia and South Africa, who were polled in the 2018 Genesys Cloud Transformation Survey: African Small & Medium Sized Contact Centres, this adoption trend extends to the contact centre environment. Among the primary drivers of cloud computing are the excellent economies of scale the model can achieve, and the fact that it provides access to the latest technologies and innovations 'on the fly'. The CCaaS model also creates a more agile operation that can respond and adapt to shifting market trends. However, for small to medium businesses in Africa, cloud migration offers another significant benefit. Due to the historically slow pace of technological advancement, cloud adoption gives these smaller business access to platforms, applications and solutions previously only available to large enterprises. For captive and outsourced African-based SME contact centres, this presents an opportunity to bridge the digital divide and 'leapfrog' ahead of large contact centres and enterprises that are sweating their legacy systems. Being at the leading edge of technological advancement offers African SME contact centres a significant strategic advantage, especially as these businesses are nimble and adaptable. They are therefore able to rapidly provide new services in response to market shifts. This is a prolific factor that is set to drive the continued adoption of CCaaS solutions in Africa. Unsurprisingly, more than half of the respondents in the Genesys Cloud Transformation Survey have already deployed some form of cloud contact centre solution to enable these capabilities. Once in the cloud, adopting, deploying and seamlessly integrating more advanced communication channels, and other solutions that can provide greater automation, intelligence and responsive services, also becomes possible. The cloud technologies with the highest implementation rates in African SME contact centres, according to recent surveys, are CRM (71.23%) and voice recording (64.38%). However, businesses are increasingly adopting cloud technologies for voice-based cloud phone systems (42.47%), speech and desktop analytics (38.36%), disaster recovery (38.36%), and campaign management (36.99%). To unlock this potential and realise the benefits, the contact centres in Botswana, Kenya, Ghana, Namibia and South Africa included in the survey are taking various paths on their cloud migration journeys. While almost 30% of the respondents want to grow their premises-based models, more contact centres in Africa are opting for the flexibility of hybrid and full-cloud options, as these offer pay-as-you-go and per user license models. Hybrid cloud technology is also a preferred contact centre deployment model due to the flexibility it offers, with options to combine public cloud, private cloud and on-premises services. These configurations enable critical or risk-intensive services to remain in-house. Furthermore, the cost of the set-up, maintenance, updating and configuration of premises-based models was cited by respondents as a leading factor in their decision to migrate to the cloud. The necessity to reduce costs will therefore remain a significant driver of cloud migration for contact centre operations in Africa. Indeed, the adoption of CCaaS is a worldwide phenomenon that has set the stage for contact centres of all sizes to transform their operations, services, communication channels and engagement methods with both customers and employees alike. Africa has taken note and is following suit, so expect the next 12 to 36 months to be an innovation-driven, strategically charged period for SME contact centres on the continent.